ASTANA – The fourth round of the Astana Process talks on Syria on May 3-4 ended with the signing of a document envisaging the creation of four “de-escalation zones” on the ground where no military activity would be allowed, including by “aerial assets,” thus effectively introducing no-fly areas and adequate conditions for humanitarian access would be created. The memorandum on that was signed by Russia, Turkey and Iran, the so called guarantor states to the ceasefire regime enacted by another agreement from Dec. 30, 2016. The parties also agreed to meet again in Astana in mid-July, which will be preceded by a technical meeting of military experts two weeks prior in Ankara. The meeting was the latest in a series of talks among sides to the conflict in Syria. The talks have become known as the Astana Process and are meant to create conditions for the success in the more comprehensive peace talks in Geneva on the overall political settlement of the Syrian conflict. Almaty-based political analyst Adil Kaukenov in an interview with the Kazinform national news agency on the eve of the talks noted that just getting the parties to the table in the wake of recent events should be considered a success. “It was very difficult to get the participants of the armed opposition to participate in the fourth round of negotiations. This was a serious breakthrough for both Kazakh diplomacy and all parties interested in resolving the conflict … especially, given the fact that there were bombings by the U.S. and attacks by Russian aviation on the armed opposition, the situation is heating up,” he said. Indeed, the very fact that the meeting took place despite the series of disruptive events that could undermine any talks, including the chemical attack in Khan Sheikhun, the subsequent U.S. strike on Syrian Air Force base in Shayrat and the bombings of buses with refugees in Aleppo, was surprising to some. The two-day meeting in Astana gathered delegations of the government of Syria and the Syrian armed opposition, Russia, Turkey, and Iran, as well as senior diplomats from the United States, Jordan and the United Nations. The meeting included the highest level of representation from all the rounds held so far in the Kazakh capital since January. Abdrakhmanov noted the success of the previous Astana process talks. The minister also stressed the increased relevance of the talks in light of the abovementioned escalations in Syria. “In this situation, the significance of the Astana Process has increased even more,” he said, adding that the high level of representation of guarantor states and all the stakeholders was encouraging. Abdrakhmanov’s remarks were followed by the ceremony of signing by the heads of the Russian, Turkish, and Iranian delegations of the memorandum creating de-escalation zones in Syria. The document’s content described it as aimed at “ending violence, preserving the unity and territorial integrity of the country, and finding a political solution” to the six-year old conflict, one of the bloodiest worldwide since World War II. The document named four “de-escalation zones,” which are the Idlib province and parts of the provinces of Latakia, Hama and Aleppo, the area north of Homs, Eastern Ghouta, and the provinces of Daraa and Al Quneitra in southern Syria. There, the “use of any kind of weapons, including aerial, will be forbidden,” Also, humanitarian aid and medicines are to be provided and steps taken to restore basic infrastructure facilities for the needs of the civil population, thus creating conditions for the safe return of refugees. The delegates discussed establishing a working group on the exchange of detainees and reviewed a related draft document. The participants of the meeting also thanked President Nazarbayev and the Kazakh government for hosting the Astana Process meetings. Following the signing ceremony, some delegations hosted their own press conference to give their interpretations of the meeting’s outcomes. 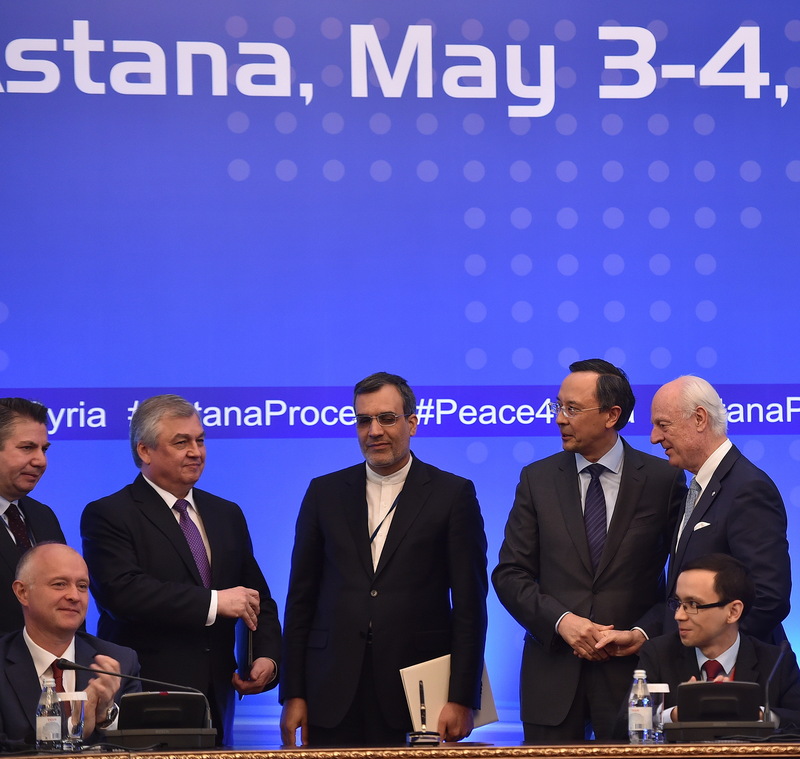 According to a press release from the host country’s foreign ministry, “Kazakhstan regards the results of the fourth international meeting on Syria in Astana as another substantial step towards peace in Syria, calls on all parties to implement all agreements, and confirms its readiness to continue contributing to international efforts to find various ways for a political settlement of the Syrian conflict, including as a non-permanent member of the UN Security Council.” Kazakhstan is a member of the UN Security Council for 2017-2018. The UN Secretary General’s Special Envoy for Syria Staffan de Mistura was also upbeat about the meeting’s outcomes. “Today in Astana I think we have been able to witness an important, promising, positive step in the right direction in the process of de-escalation of the conflict,” he said. 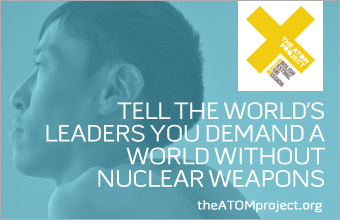 Later on May 4, the UN released a statement welcoming the agreement adopted in Astana. The statement said UN Secretary-General Antonio Guterres is “encouraged” by the agreement reached in Astana and said it would continue to support de-escalation within the framework of the Security Council resolutions on Syria. “It will be crucial to see this agreement actually improve the lives of Syrians. The Secretary-General welcomes the commitments to ceasing the use of all weapons, particularly aerial assets; to rapid, safe, and unhindered humanitarian access; and to creating conditions for the delivery of medical aid and meeting civilians’ basic needs. The commitments made should not affect the rights of Syrians to seek and enjoy asylum,” the statement from Guterres’ spokesperson read. “We look forward to continuing our dialogue with the Russian Federation on efforts that responsibly end the Syria conflict. We continue to strongly support the UN-led process in Geneva, under the stewardship of Staffan de Mistura, as the centre of international efforts to bring about a negotiated settlement,” the State Department said. Giving his view on the meeting’s results, Director of the Eurasian Council for Foreign Affairs Zhanbolat Ussenov told The Astana Times that the talks have boosted Kazakhstan’s credibility on the international stage.